providing employment opportunities to an individual with disabilities through community-based programs located throughout New Jersey. 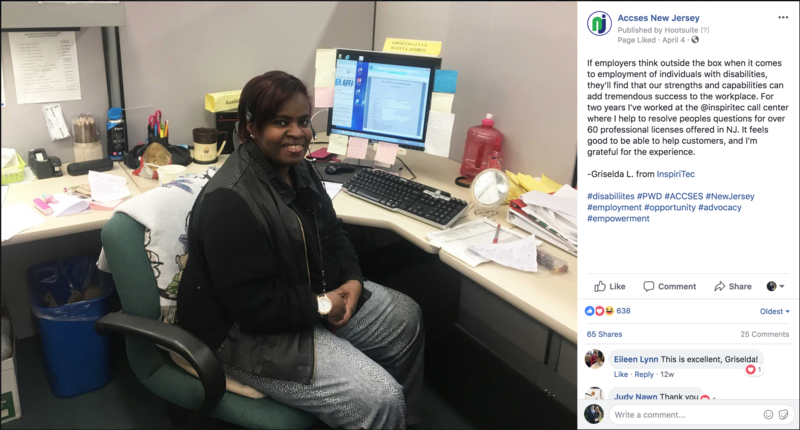 As their agency of record, they tasked us with coming up with a social media campaign that raised awareness of their employment advocacy efforts and raising a digital army of online advocates for their cause. 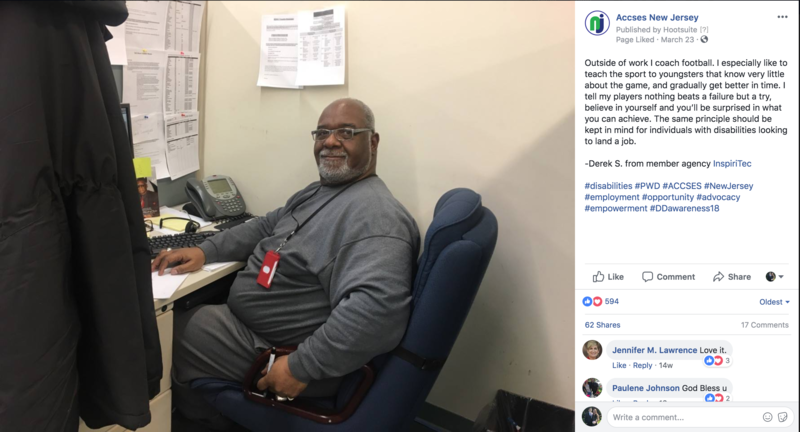 Our team responded by creating the #OurPurpose campaign, designed to tell the stories of how employment impacted the lives of individuals with disabilities. Our team decided that Facebook would be an ideal place to share these stories. ACCSES New Jersey had no followers, so we developed a paid media startegy around custom-built audiences. Our strategy team knew the stories would be the differentiator of this campaign, so we carefully created interview question that we felt would capture the individual’s story & elicit a significant response from our target audience. Finally, we sent our media team to multiple facilities, taking photos & videos, and we pieced our campaign together. Over the course of 5 months, we released 13 inspiring stories and the response rate was from the Facebook community was massive. The posts helped accelerate ACCSES NJ social following from zero to over 680 “online advocates” that ACCSES could now regularly receive content. Most importantly the posts reached 94,806 people and better yet saw 8,345 engagement actions including likes, comments & shares. The #OurPurpose social posts saw engagement rating between 8% & 10% on average. 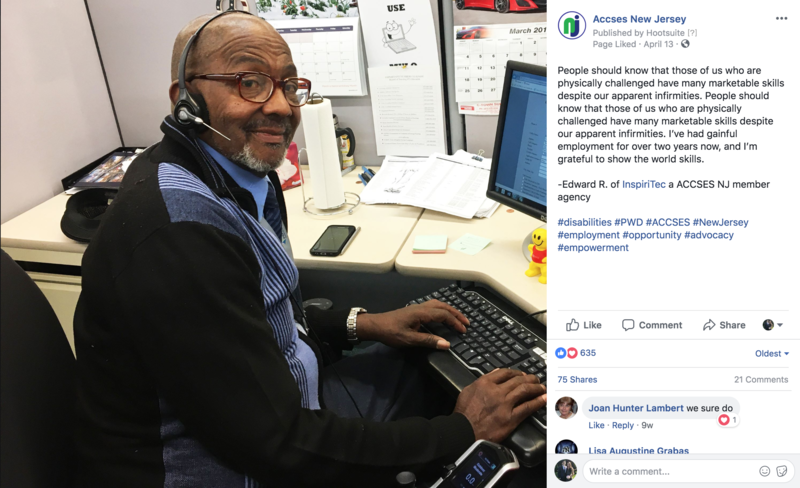 The results of this campaign have helped ACCSES New Jersey debunk the myth that people with disabilities aren’t able to provide value to businesses, instead, changing the conversation to how they add value and what having employment opportunities can do for them. Our work is far from over as the campaign continues, with new brand awareness & e-commerce campaigns now being added to the social media effort.